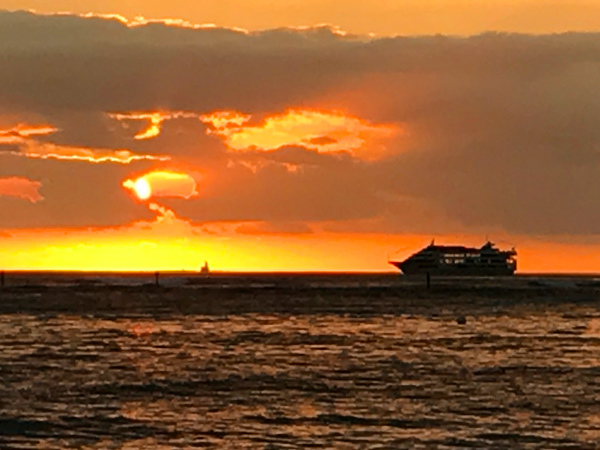 The Five Star Dinner Cruise on the Star of Honolulu and offered by Paradise Cruises is the ultimate romantic dinner cruise experience. 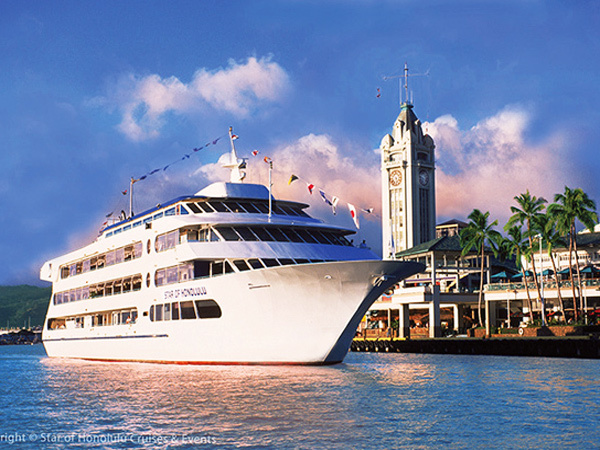 With the Five Star Dinner, you'll start the evening with an exclusive limo ride to the Star of Honolulu, where you'll be shown to the captain's champagne reception on the Super Nova deck, which is near the top of the ship. In 2017, enjoy the exclusive Captain's reception and the new "Bon Voyage hula"! You'll be served a 7-course French dinner and receive premium cocktails. 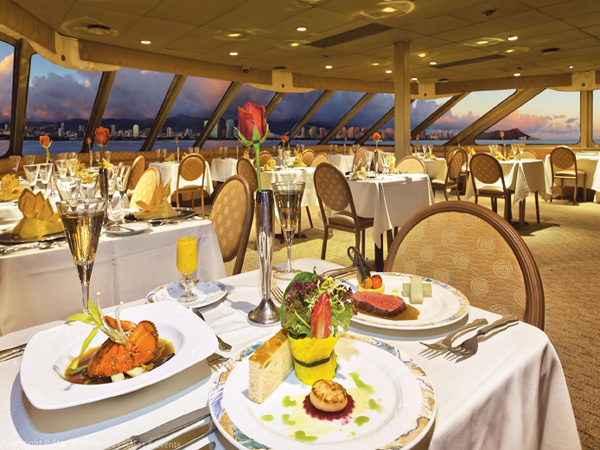 After this Five Star dinner, you can dance to cool jazz with a live band, and enjoy the lights of Honolulu and Waikiki as they sparkle in the distance. The dancers of the Star of Honolulu Hawaiian Pier Show entertain you. 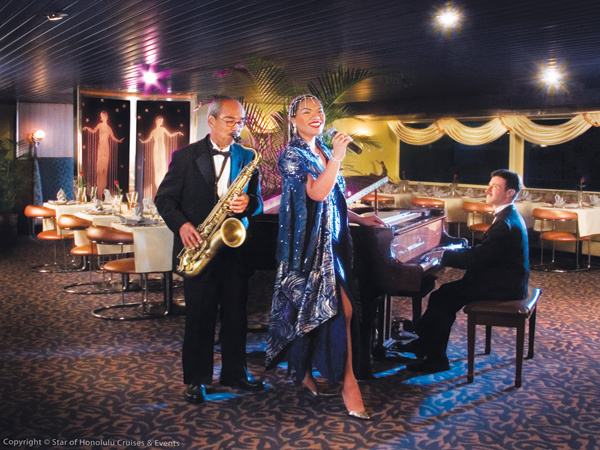 You are escorted to the captain's welcome party, where you'll enjoy Sparkling champagne, hors d'oeuvres, and gentle Hawaiian music. 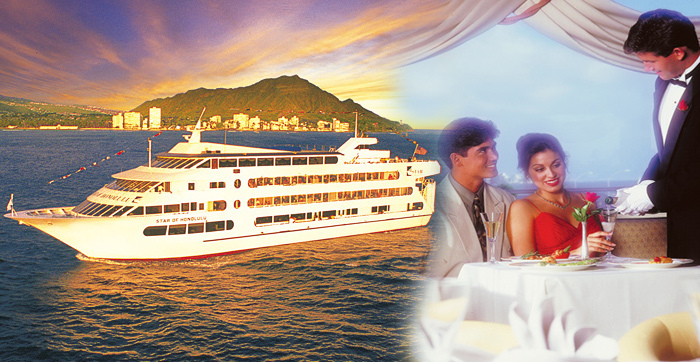 Enjoy a champagne toast with the captain of the ship and then enjoy the lavish seven-course French-style dinner and super premium cocktails. 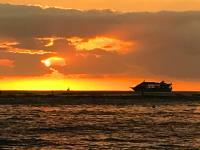 After dinner you can enjoy the scenery from a private lanai, or sip a drink from the lounge or bar. 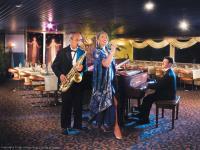 Soft, sweet jazz by live, top-name musicians will highlight your evening, and if you've a mind to, you can dance to favorite songs. Please note: Menu changes seasonally. Special menus of chicken, fish or vegan available with 24 hours notice. 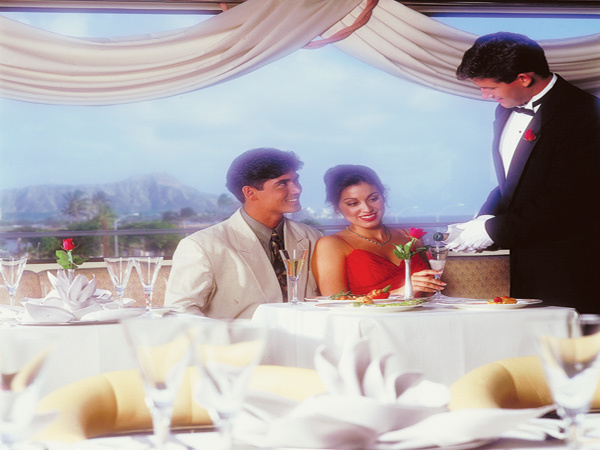 Celebration Plan – Enjoy window seating (up to 8 persons), private table and photo (per 2 persons). Minimum of 2 persons required to book. Price is per person. Reception Plan – Enjoy window seating (up to 8 persons), private table, photo (per person), lei cake and bottle of "champagne" (per 2 persons). Minimum of 2 persons required to book. Price is per person. Exact time of limo pickup will be emailed to you.